Pinnacle A Roofing Company prides itself in being a Commercial Re-Roofing specialist. Our goal is safely replacing your roof with minimal interruptions to your company’s operations. 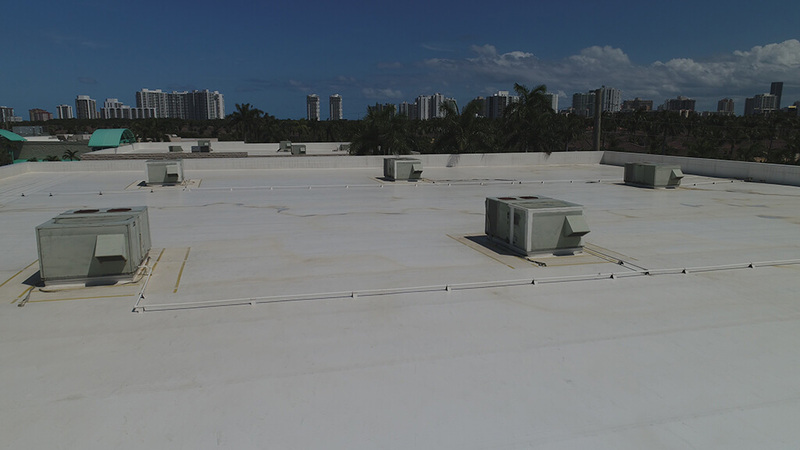 Maintaining your commercial roof in Florida is critical– as a building owner or property manager, you cannot afford to have your operations disrupted. Even a couple of hours’ downtime can mean thousands of dollars in lost sales, man hours, and opportunities. We specialize in re-roofing occupied commercial buildings with little to no interruptions concerning operations; and work with building owners, engineers, architects and roofing consultants to provide our clients the most accurate bid for roof replacement projects. 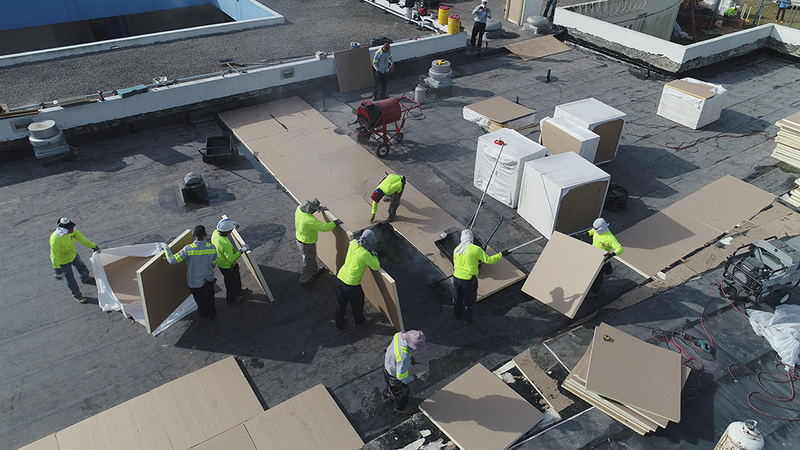 A seamless roof replacement without disruptions to your buildings operations is only one of the ways we measure the success of a roof replacement project. To us, your experience with our company is truly what matters most. Your experience with our company at every touch point is very important – from bidding to project close-out. We think you should be informed, involved and in control from the start, so there are no surprises or second guesses. Pinnacle A Roofing Company is capable of taking care of your entire commercial roof portfolio swiftly and for an affordable price. 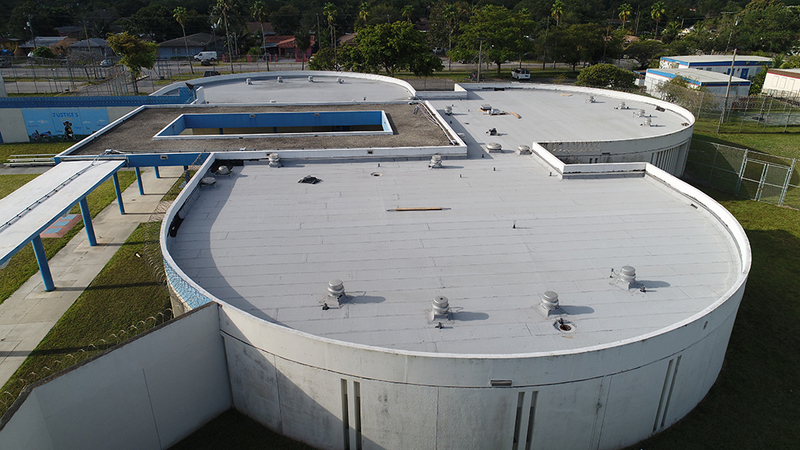 Our two decades of experience and expertise in commercial roof replacements guarantees we can offer you the best solution for your building’s needs using premium materials and award-winning craftsmanship. 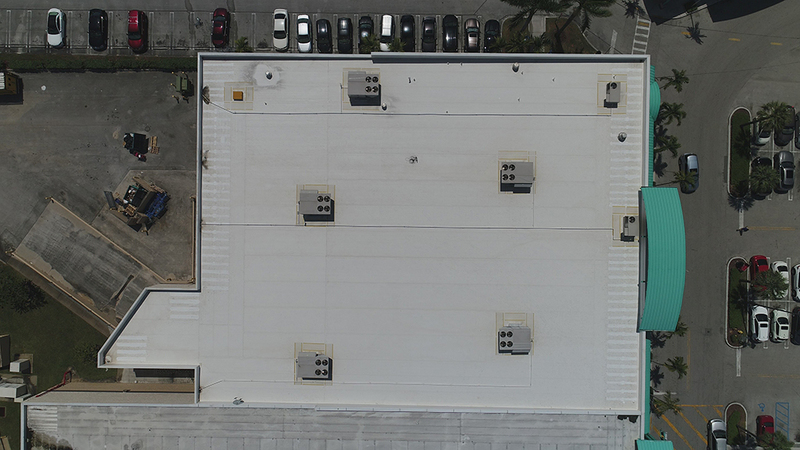 Offering a wide variety of commercial roofing systems to fit your needs and budget, along with the highest quality products that include comprehensive warranties. We will exceed your expectations with your Re-Roofing project. Pinnacle A Roofing Company has been under the same management and same phone number since 1996, so our commitment to quality and service has proven tested over time. From Florida to the North Eastern United States, Pinnacle A Roofing Company has completed hundreds of roof replacement projects and can provide an extensive list of satisfied customers that are available for reference upon request. Are you ready to replace your roof? Get your complimentary project quote today by calling (305) 672-7464 or click the request information button below.